There’s been an important update in the Swepi v. Mora County case currently being heard in federal court in Albuquerque, Judge James O. Browning presiding. And as much as one hates to be the bearer of somewhat alarming news, this information is far too important to deliver any way but straight up so the people of Mora County can decide what the frack they’re going to do. On Monday, November 23rd, Swepi, the subsidiary of Royal Dutch Shell currently suing Mora County to overturn its historic anti-fracking ordinance, filed with the Court a document entitled “Supplemental Evidence Regarding Justiciability.” The filing had 10 exhibits attached, which list Swepi’s oil and gas leases in Mora County, information that had not been previously provided, and it changes the picture significantly. It appears that Swepi has substantial leases in Mora! According to Mora County’s pro bono attorney, Jeffrey Haas, “The document was filed because Judge Browning was skeptical about whether Swepi had shown a sufficient interest in Mora County to prove standing to object to the constitutionality of the ordinance.” Haas is modest: he repeatedly reminded Judge Browning that the burden of proof was on Swepi to prove the validity of their interest in Mora, and by his persistence, one might even say, insistence, he drew this crucial information out from the other side. They fessed up to the extent of the territory currently at risk to be fracked, and it affects far more land than originally supposed. Haas has spent some time this Thanksgiving holiday week examining the leases, and this is what he’s found. The leases total 14,392.73 acres and cost a total of $205,292 although not all of this was paid for by Swepi. 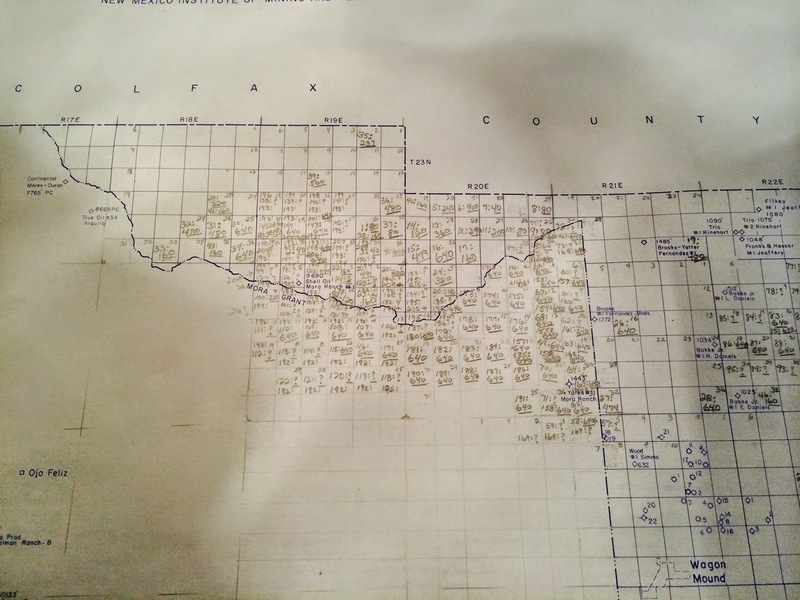 (Thank you to John and Diane Lindsey for plotting the leases on a map.) All but one are on state land. The leases are in the North Central part of Mora County adjacent to Colfax County. Swepi has some leases in Colfax County close to their leases in Mora County. 1. On Sept. 16, 2008, 4 leases totaling 1403 acres were acquired by Daniel Gonzales of Santa Fe, at a state land sale (auction) and he then assigned his interest to Swepi on Oct. 1, 2008. 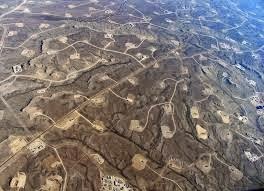 Swepi got 5 and ten year leases for twenty-five cents an acre, to be doubled after 5 years if no oil or gas extracted. What Swepi paid Gonzales is not stated. 2. 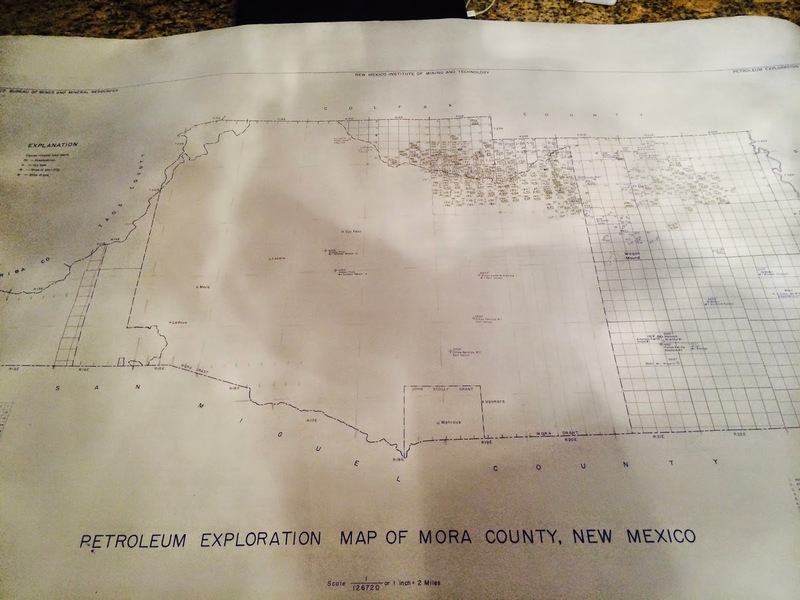 On Sept. 16, 2008, KHL, listed as a NM corporation, and who is involved in oil and gas extraction in many states, purchased 8 leases for 1961.33 acres for a price of $52,000 in a state land sale (auction) and promptly assigned its interest in the leases to Swepi on Oct. 1, 2008. It is not indicated what Swepi paid, but they have to pay twenty-five cents acre per year, which is doubled after 5 years if no oil or gas extracted. It is unclear to me when these leases expire, as the lessee can continue the lease for a total of 15 years or more under certain circumstances, such as the area is still producing or can be shown to be producing oil or gas. 3. On April 6, 2010, Swepi purchased a lease from the Jack C. Smith testamentary trust, filed 6/24/2010. 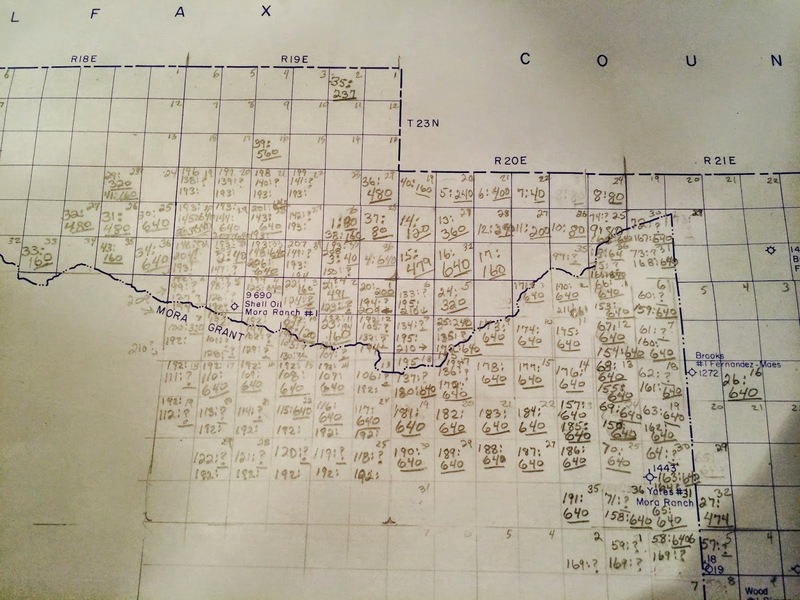 Dollar amount and acreage not indicated. 4. On June 23, 2010, KHL purchased 6 leases totaling 1876.68 acres for $26,100 at a state land auction. They promptly assigned their interest to Swepi by July 1, 2010 when they were recorded. 5. On July 20, 2010, Swepi purchased 15 leases at a state land sale totaling 8511.72 acres, at a price of $59,400. Terms were roughly the same with annual rate increasing from twenty-five cents an acre to $1.00 an acre after ten years. Leases allow Swepi to extend up to 15 years or more if they can show the well is capable of producing oil or gas. The transaction was recorded on Aug. 1, 2010. The ghost of Mora’s future…? 6. On July 20, 2010, Ben Donegan of Santa Fe purchased 640 acres at a public sale for $3200.00. On July 20, 2010 his interest was assigned from CEJA corporation to Swepi and recorded Aug. 1, 2010. It was not stated what Swepi paid. Haas also received a letter on Wednesday, November 26th from the Swepi lawyers indicating they were not going to Answer Mora’s discovery requests because their Answers were due after the date the magistrate had set to close discovery. Though they are going to Answer Mora’s Motion to Extend Discovery until January 15, 2015, sometime in early December.